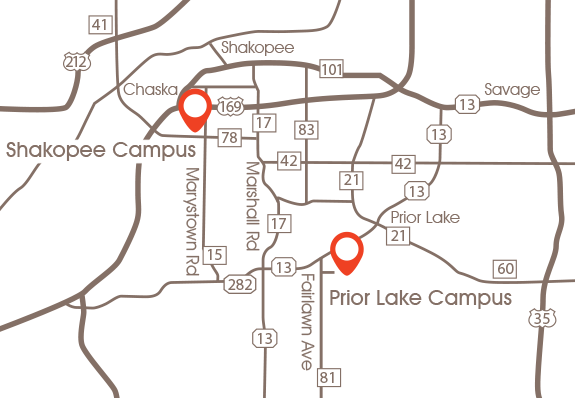 Friendship Church is one church with two locations in Shakopee and Prior Lake. We are known for our passion to know and share the love of Jesus, care of others, desire to build strong families and live teaching at both campuses. We would love to meet you this Easter! You and your family are invited to join us to view "The Passion of Christ". This is a powerful movie that depicts the final 12 hours of Jesus Christ in Jerusalem during his crucifixion. Parents need to know that "The Passion of the Christ" is rated R for showing violence. We see Jesus brutally beaten for much of the movie. Please use your judgement as to whether your student should see this movie. Doors open at 6:00pm, movie will start at 6:30pm sharp. Popcorn and beverages will be provided. Email Misti VanDommelen or call 952-567-6462 with questions. Join us for a unique Good Friday experience featuring a communion service incorporating the cultural background of the Jewish Passover! We will demonstrate how Jesus would have administered the original communion through the elements in the Passover Seder that he conducted for his disciples. This service will be a family friendly environment with “ah ha” moments, a time of reflection and a great way to prepare our hearts for Easter. Celebrate the resurrection of our Lord and Savior Jesus Christ! We will have have a powerful service about God's Radical Love. Stay for fellowship after worship and enjoy a delicious, complimentary Easter Breakfast featuring: Pastries, Cereal, Fruit, Yogurt, Hard Boiled Eggs, Pop Tarts, Granola Bars, Oatmeal, Orange Juice and Coffee. We will have special programming for Kids (Pre-K - grade 5) and the Flood (youth grades 6-8). The nursery will also be open.